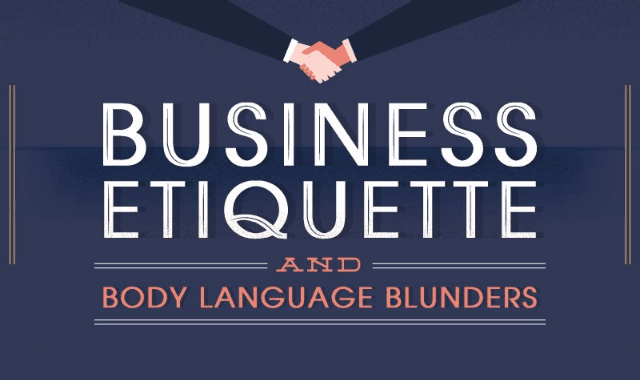 Business Etiquette And Body Language Blunders #Infographic ~ Visualistan '+g+"
There are certain behaviors we all know will raise eyebrows and offend people. Standing too close to someone while talking, double-dipping, and a feeble handshake, are all examples of behaviors that others find off-putting. Particularly in business, it’s crucial to avoid the common pitfalls and adhere strictly to etiquette, especially when in a foreign setting. Have a look below!